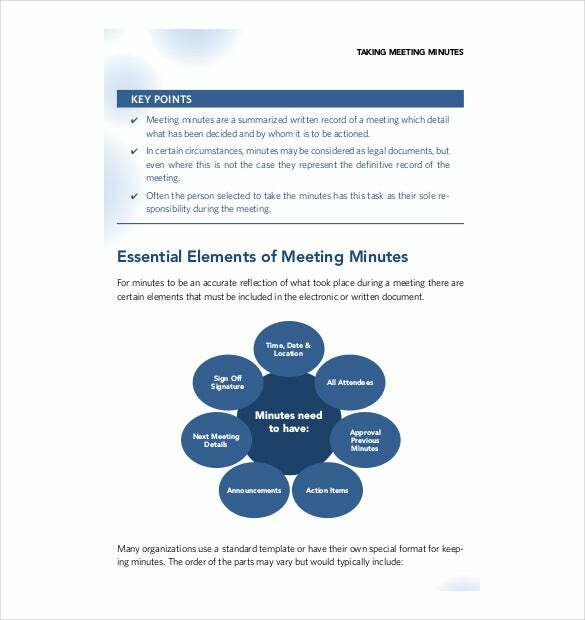 You might attend various types of meetings, from formal meetings to informal meetings. 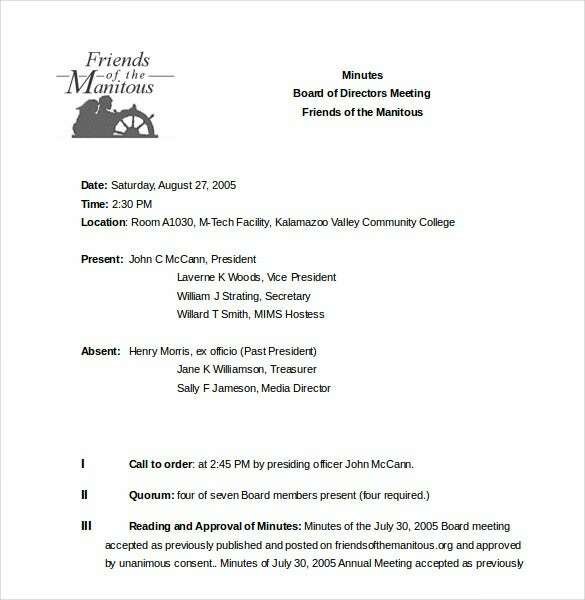 To keep track of these meetings, the Minutes Template in Word is the best way to start. 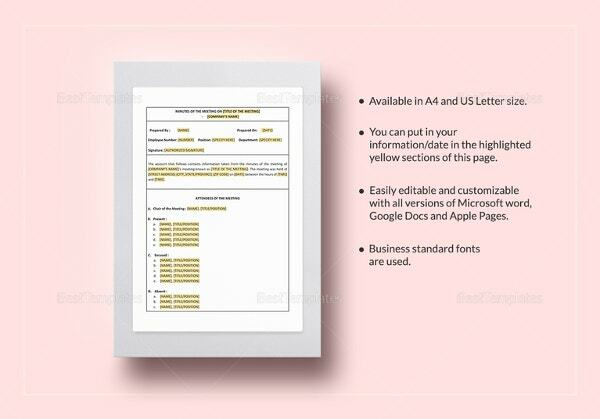 The template store the general information on the meeting like the date, time, location, type of meeting etc. 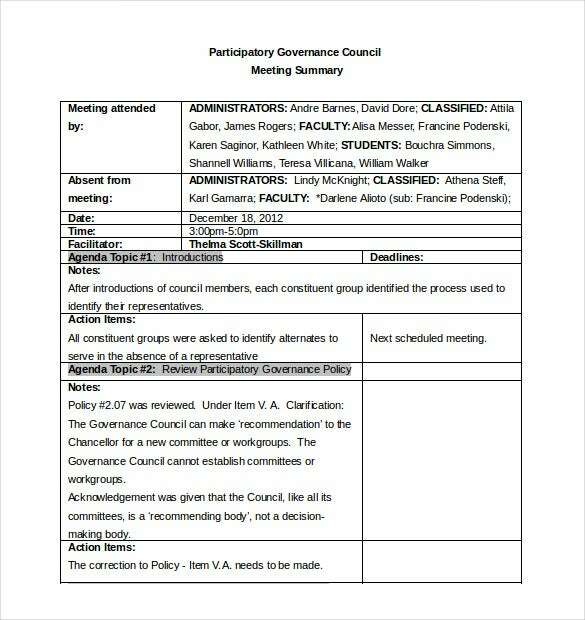 It also includes the name of the facilitator, note taker, timekeeper and attendees, and the important information that has been discussed and decided in the meeting. You may also see Minutes Samples. 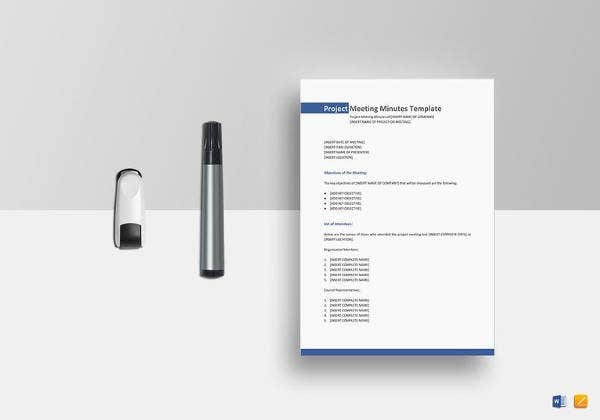 The Minutes Meeting Template is a well-structured template that stores every minute information that has been discussed and a decision taken at the meeting. 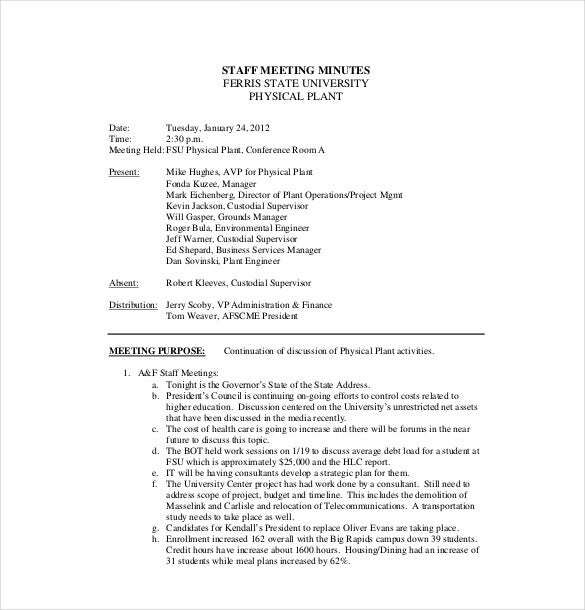 The template stores general information and the name of the employees who attended the meeting and a detailed overview of the minutes spent in the meeting. 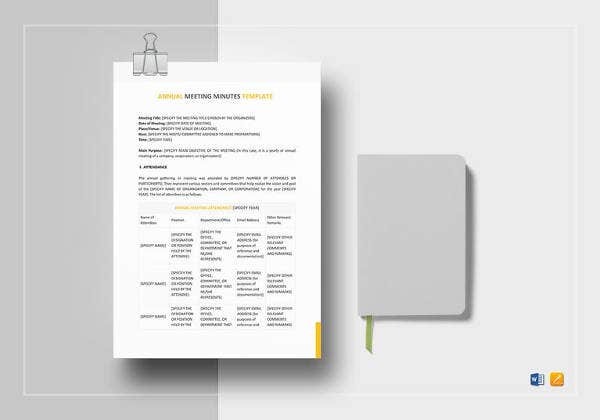 The Meeting Minutes Template excel is an important template that is used by every company to keep track of the meeting minutes. 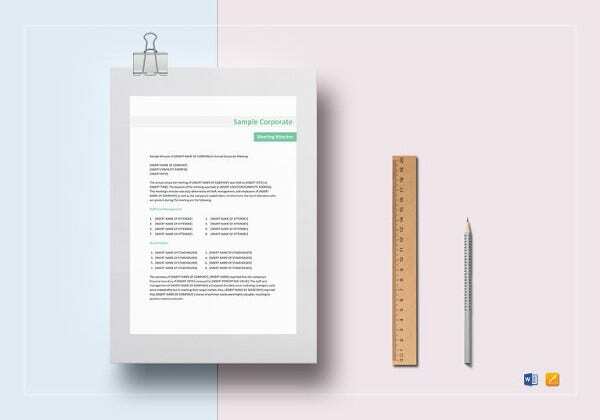 The templates are so designed that it stores all the important decisions made during the minutes, discussions done and how every member participated in the event that decides the company’s future. 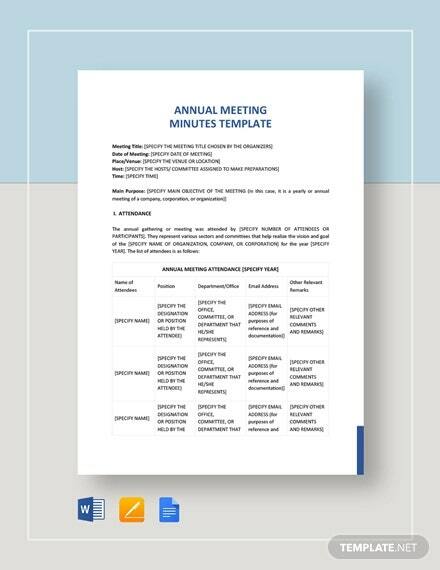 The Corporate Minutes Template is a simple, structured and readymade template that uses a professional format that stores the information on the committee, the date, time and location of the meeting. 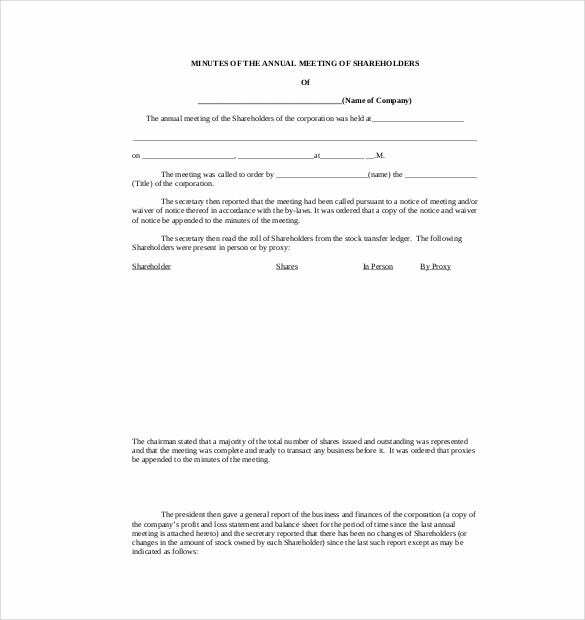 The template also contains the name of the people present, the observers and the Apologies with the details of every minute spent. A Board meeting is an important event of every company which uses the company minutes to decide on the future of the company. 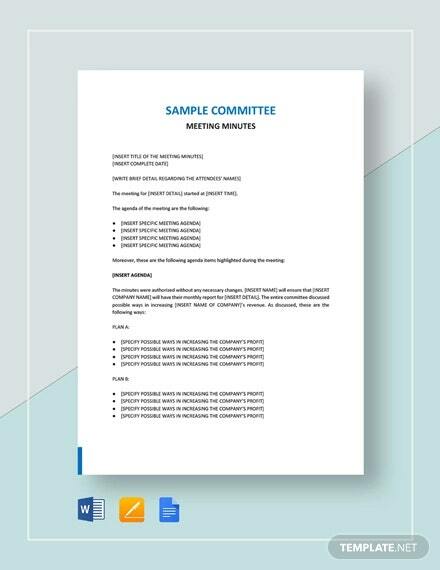 The Board Meeting Minutes Templates excel provides a simple interface that keeps an account of the minutes spent and the various decisions and discussions that were undertaken. 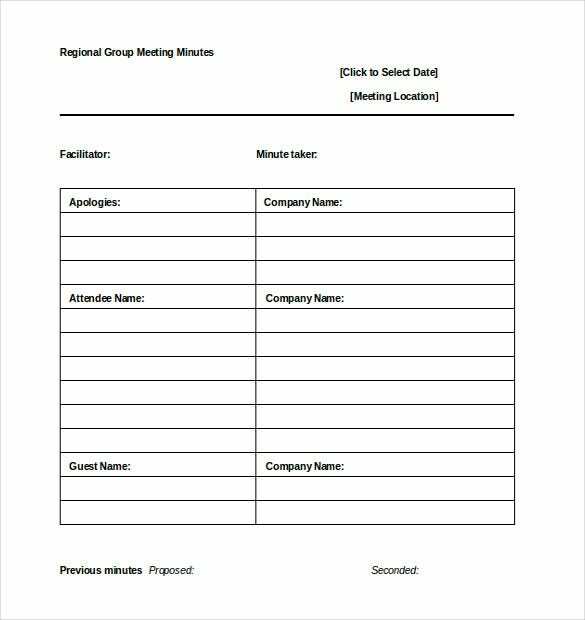 The Corporate Meeting Minutes Template excel is an important template that the company needs to use to keep a track of the corporate minutes. 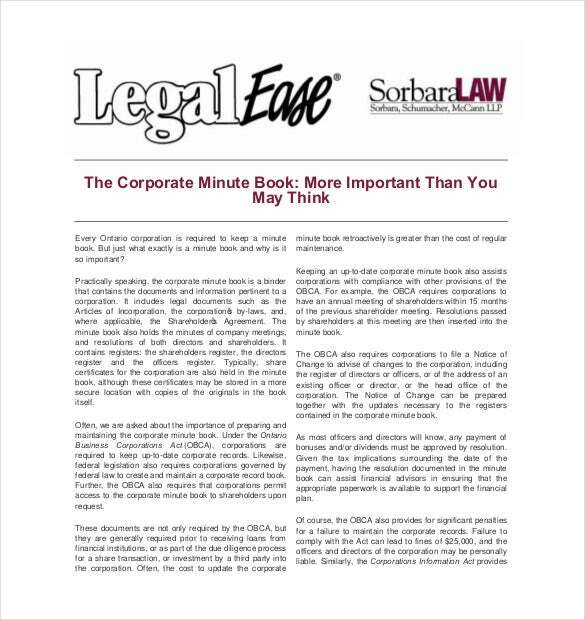 If the template is used properly, the corporate minutes will be precisely tracked and thus it will help the company to maintain their limited liability status. 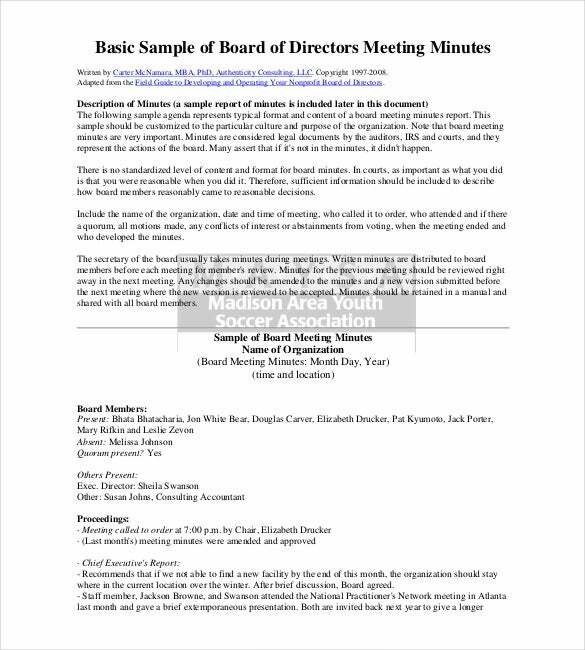 The Board Minutes Template excel is a must needed minutes template for all the companies during the board meetings. 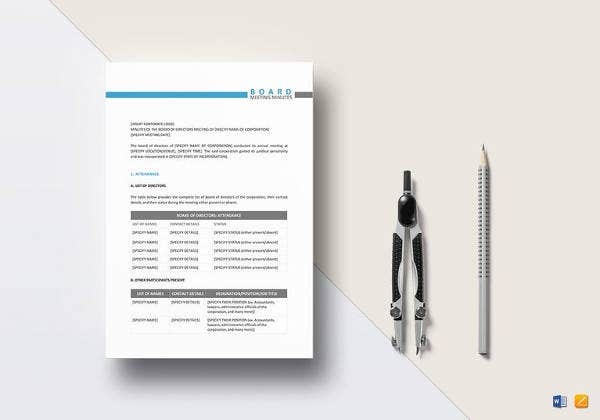 The template stores the important information regarding the decisions and discussions that are undertaken at the board meeting and also to keep track of the precious board minutes of the company. Projects are extremely tedious and require a lot of planning to complete it with success. 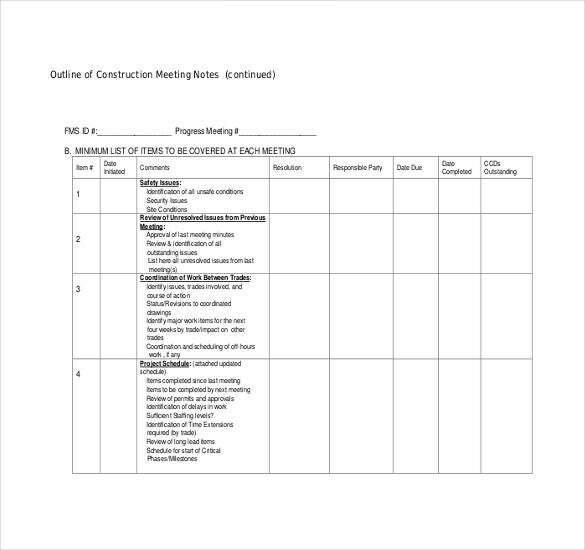 The Project Meeting Minutes Template excel is exhaustively used by the companies to keep track of the meeting minutes, the discussions made and the decisions taken to successfully complete the project by the company. 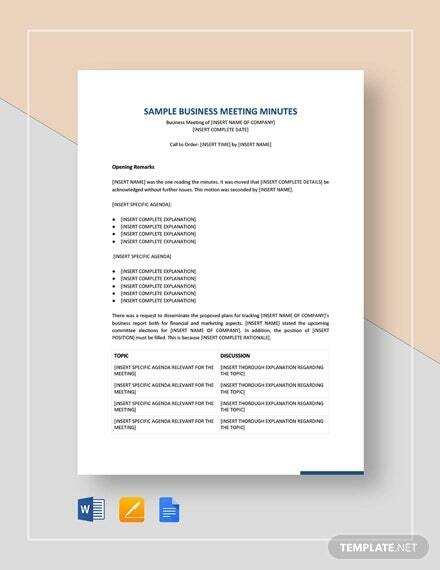 The Informal Meeting Minutes Template in word provides a list of different Minutes Template that keeps track of the minutes spent in the informal meeting. 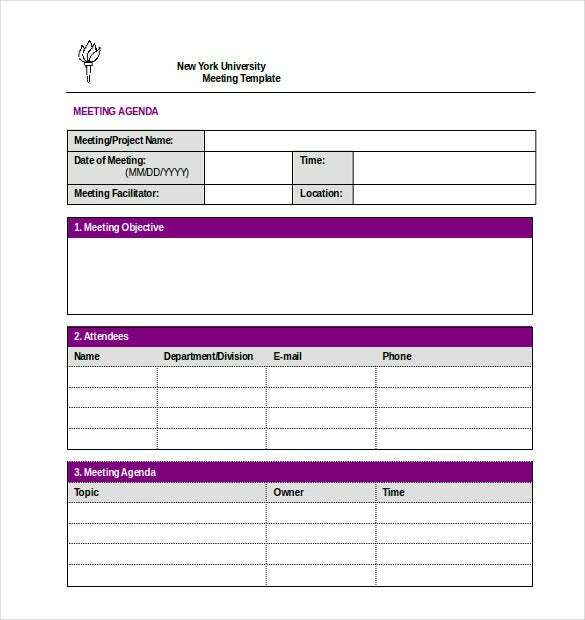 It also stores important details, as well as the date, time, location of the informal meeting so that the information can be used later on. 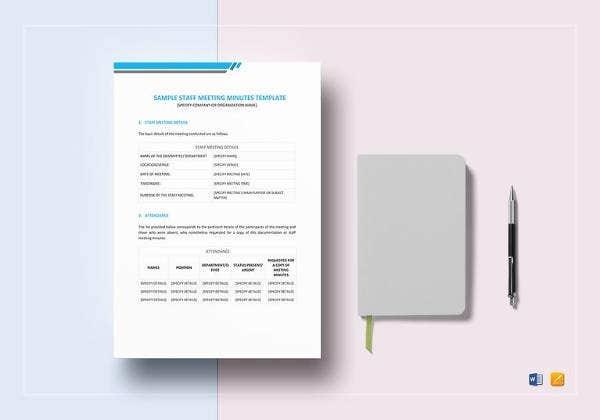 Tracking minutes is important as it is a written record that acts as proof and also tracks the performance of each staff in the company. 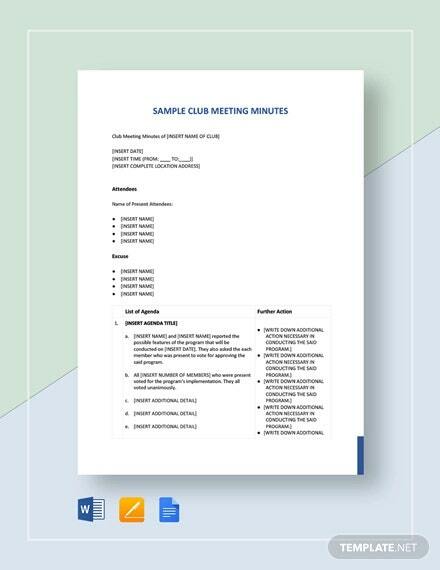 The Staff Meeting Minutes Template in Word is a readymade and structured template that is used to keep track of the minutes spent in the meeting. 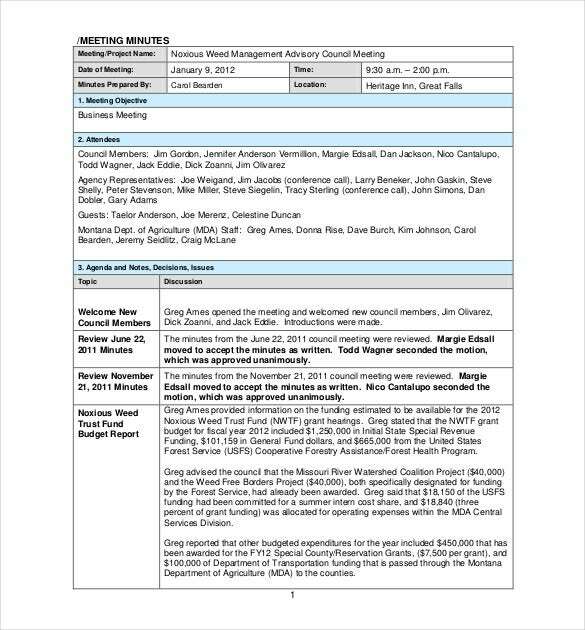 Keeping track of the minutes spent in the meeting is important as it stores important details discussed in the meeting that might be required in the future. 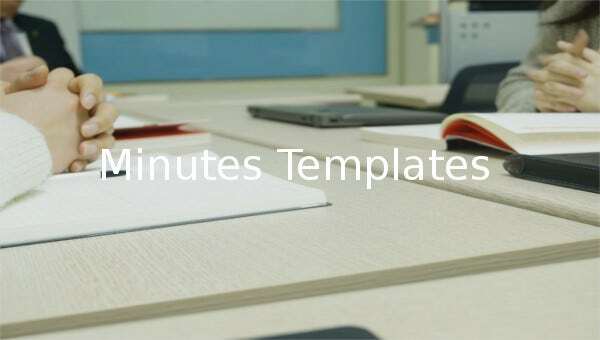 The Taking Minutes Template in Word stores the minutes spent in the meeting, the important discussion that took place and the final outcome. 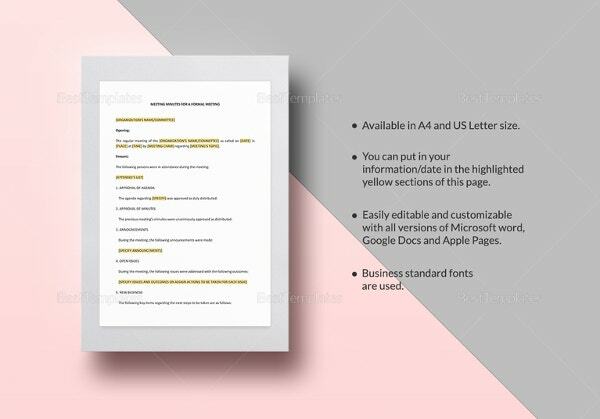 The agenda is defined as a guide to the programs and the events that will provide a full notification of the actions performed. 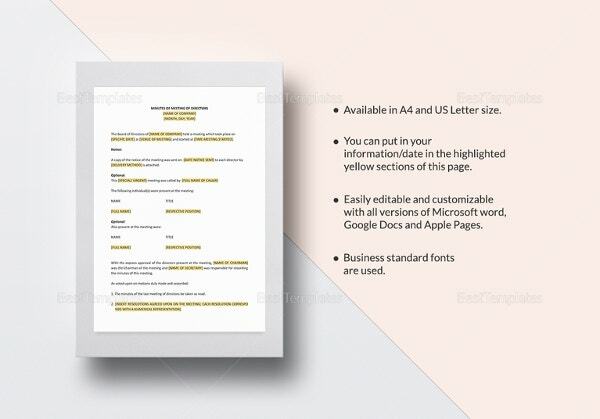 The Agenda Minutes Template in Word provides a well­structured Template that stores details of the minutes spent for the agenda and information on the actions to be performed. 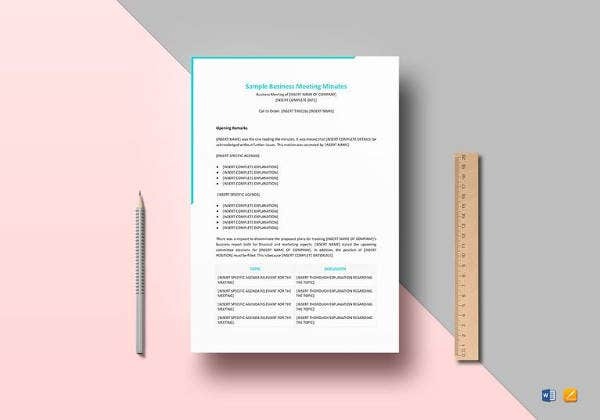 The Corporate Minutes Book Template excel is a perfect meeting minutes template that has the capability of storing a list of different corporate minutes files of the company. 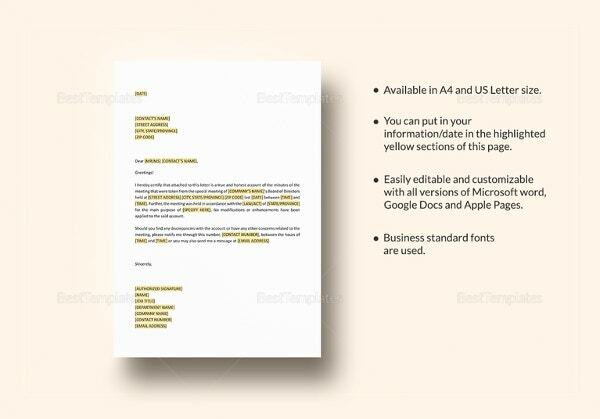 Without this template, the files might not be stored properly that leads to disorganization and loss or leak of important sensitive data. 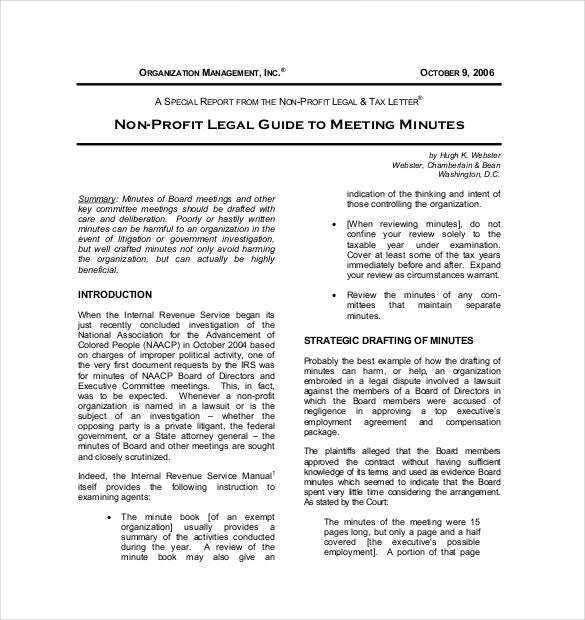 The nonprofit meeting minutes template is an important template that is used by nonprofit organizations to keep track of the meeting minutes and store the important information like the decision and discussions that might be needed in the future by these organizations for charity and other noble causes.